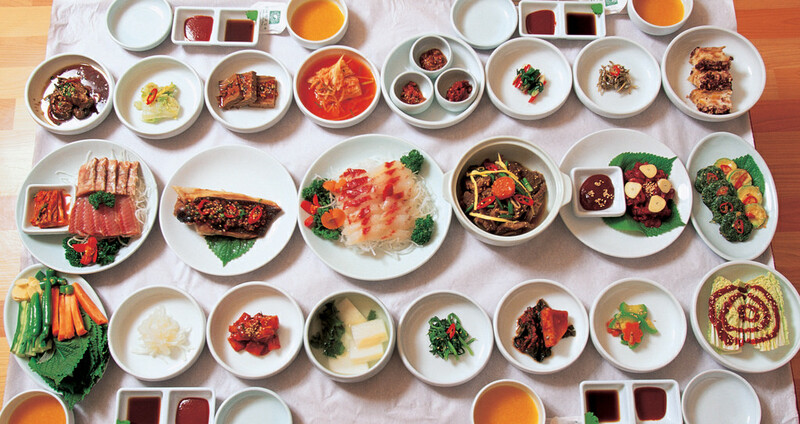 This article describes two of the most popular and versatile dishes in Korean cuisine. You can easily try them anytime from boxed meal delivery services, suited to your schedule and dietary choice! 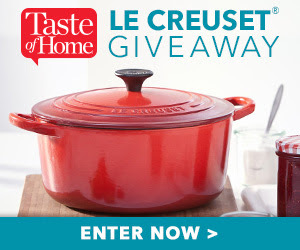 If you like the first box you try, multiple flavor combinations are offered for each recipe, and you will already have an understanding the techniques needed for cooking. 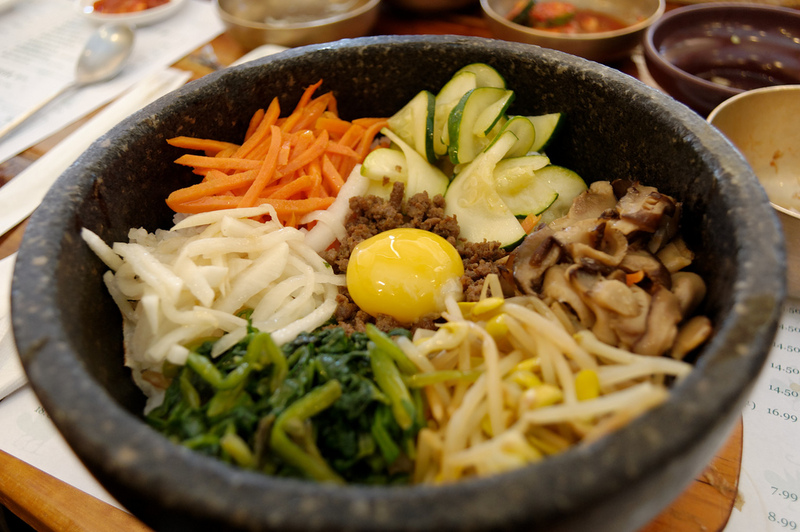 Bibimbap is a Korean dish which can be translated to mean “mixed rice.” The dish was traditionally eaten to use up leftover dishes before the lunar new year. In restaurants, it is often served in a hot stone pot coated with sesame oil that crisps the rice and adds flavor on the outer edges. 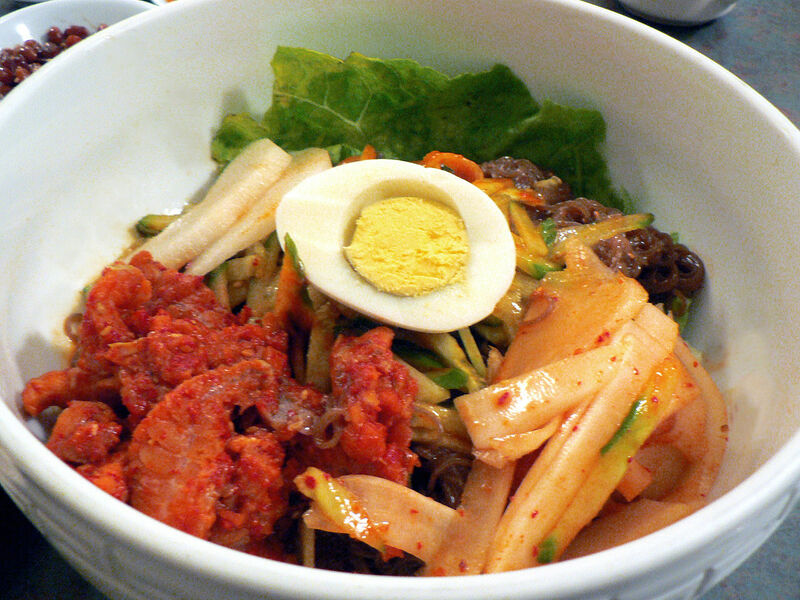 You can order this variation by choosing “dolsot bibimbap” on the menu, but an at home version will also be delicious. Bibimbap has been named one of the World’s 50 Most Delicious Foods by CNN travel readers’ poll, Due to the dish’s popularity, bibimbap restaurants are opening that let buyers quickly customize their bowl in a Chipotle style walk-through. The dish consists of hot rice covered in namul (sauteed and seasoned vegetables) and gochujang (traditional red chili pepper paste). 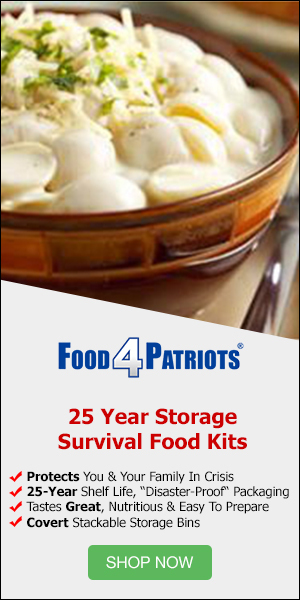 Common vegetables included are mushrooms, carrots, cucumber, spinach, bean sprouts, and radish. To present the dish for serving, place vegetables separately in neat heaps on top of the rice with different colors adjacent. Stir before eating and enjoy! Tteok (Korean rice cakes) are mixed with different combinations of vegetables, meats, sauces and other starches to make the dish known as tteok-bokki (stir-fried rice cakes). The tteok has a satisfyingly chewy texture. It is a relatively newer dish, having been popularized in the 1970’s for working-class people and sold in street stalls in Seoul. The most common variation includes tteok, fish cakes, gochujang, and scallions. Another option is gungjung-tteok-bokki (royal court tteok-bokki) which has a soy-sauce based sauce instead of the spicy base and includes sirloin, sesame oil, scallions, rock tripe, pine nuts and sesame seeds. Other choices include swaps for wheat tteok, boiled tteok, and added noodles or dumplings. Hi, my name is Ellen Park, and welcome to my kitchen! My blog, Ellen’s Kimchi, chronicles my kitchen adventures – from cooking traditional Korean recipes to experimenting with ethnic fusions. As you might have guessed from the name, a lot of my cooking hinges around incorporating the delicious flavors of my Korean ancestry. For more information, please CONTACT US or email us at koreanrecipes@ellenskimchi.com. Copyright © 2019. Ellen’s Kimchi. All Rights Reserved.